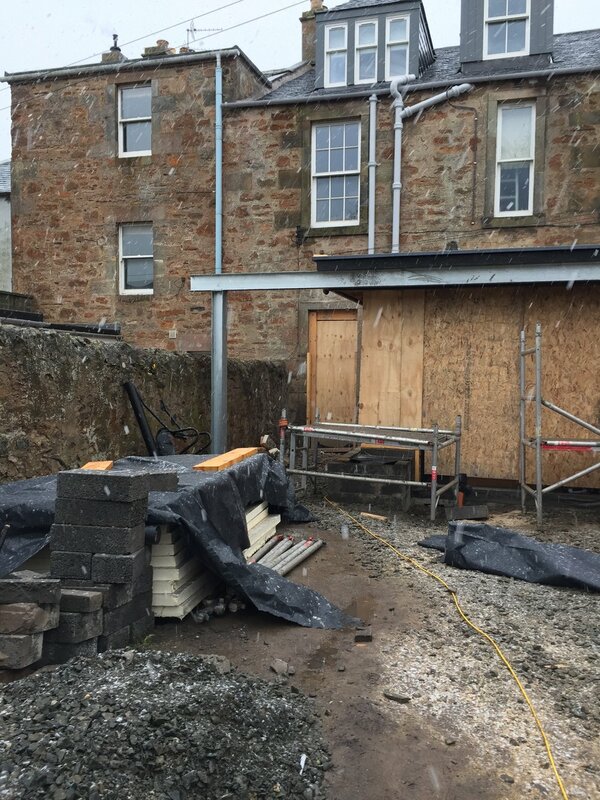 It has been a cold month in Elie, but Green Olive have been working through the snow and rain to keep works moving forward! 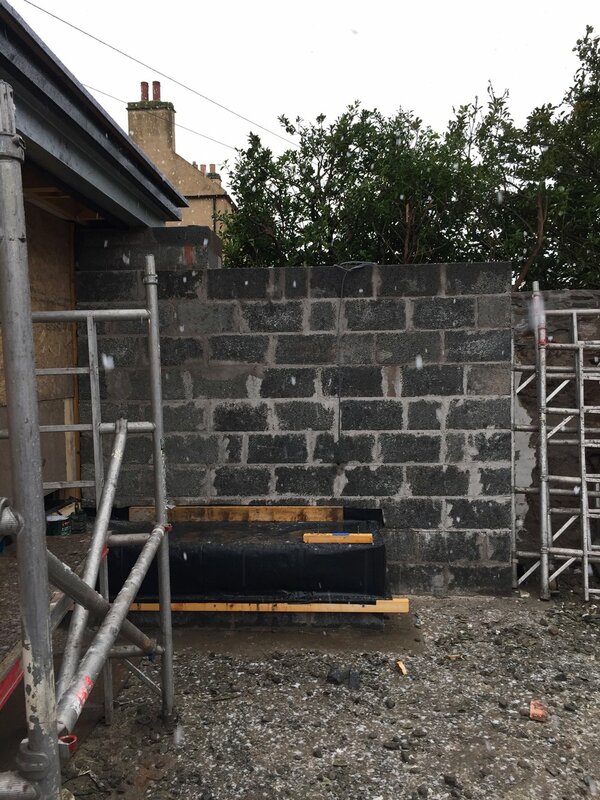 The roofing and temporary boarding across the windows has been installed to protect internal works and keep everyone a little warmer, blockwork supports ready for the polished concrete benches by Counter Productive and plaster chipped off the garden wall where the old extension stood. Although the freezing temperatures have slowed external works, Green Olive have been proactive by concentrating on the internal spaces instead. 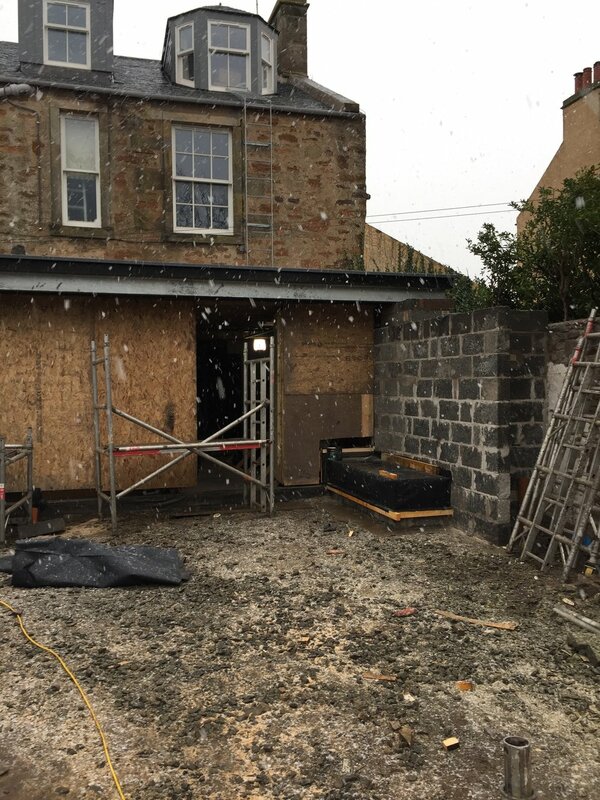 The majority of internal framing has been erected and floor insulation down ready for the screed together with under floor heating to be laid in the coming weeks. 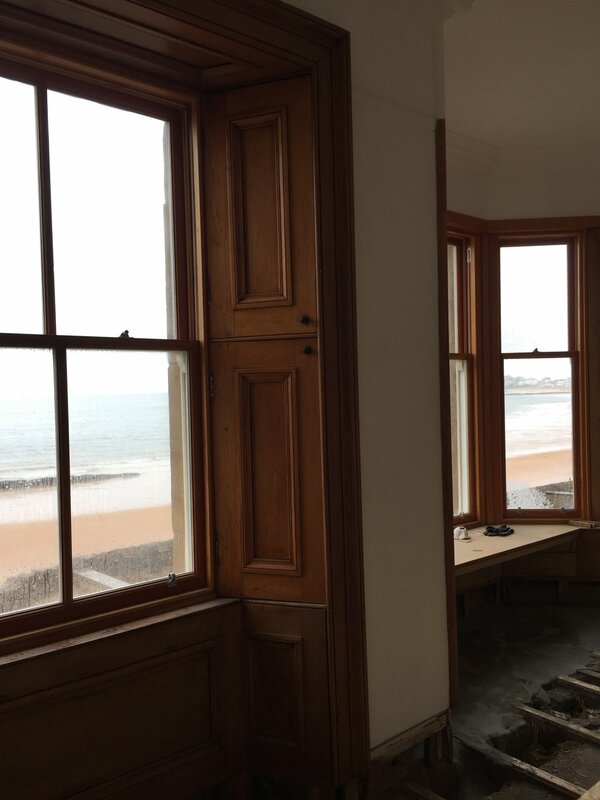 We love being on site, but bring on the warmer weather!